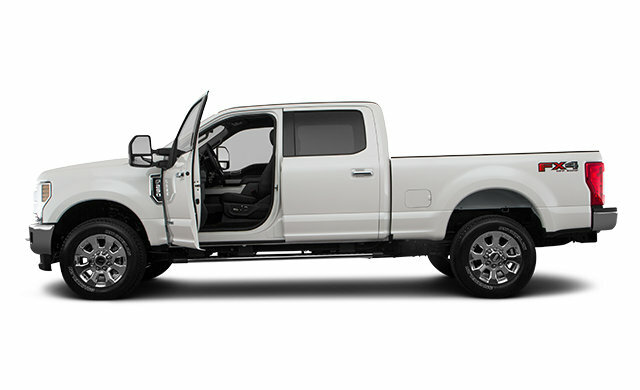 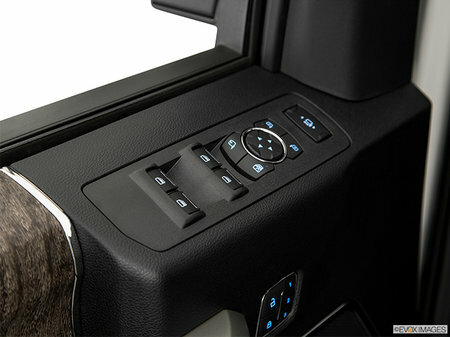 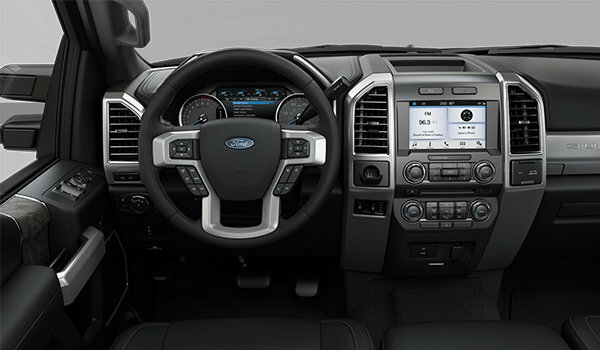 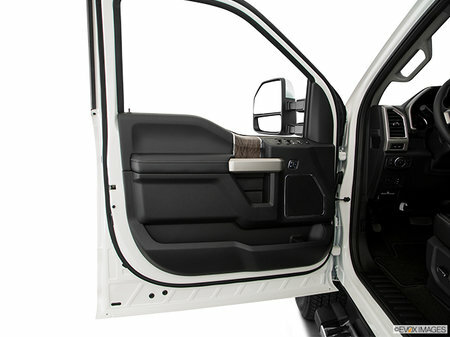 Photo Gallery "2019 Ford Super Duty F-250"
LARIAT Value Package : Easy entry/exit memory driver’s seat, LED box lighting (including center high-mount stop lamp), power-adjustable pedals with memory, power heated/cooled driver and passenger seats with driver’s side memory, PowerScope trailer tow mirrors with memory, and Remote Start System. 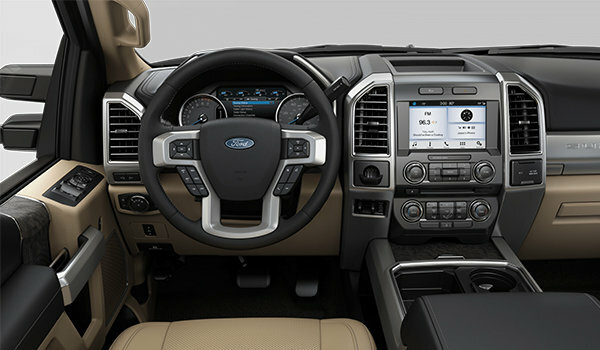 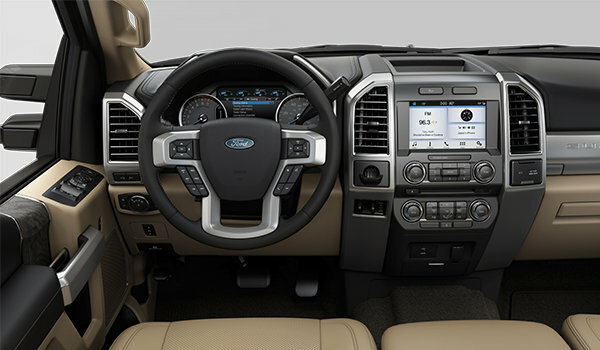 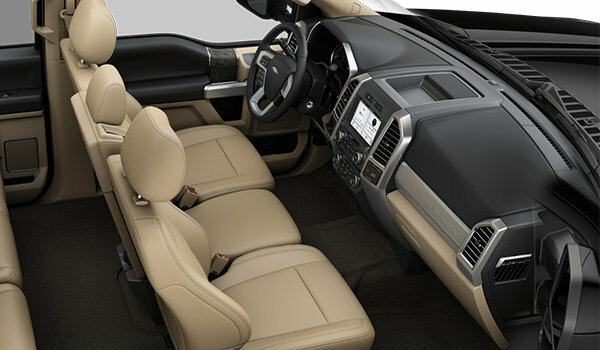 LARIAT Ultimate Package : LED box lighting including LED center high-mounted stop lamp, power-adjustable pedals with memory, easy entry/exit memory driver’s seat feature, power heated/cooled driver/passenger seat with driver side memory, Intelligent Access with Push-Button Start, power telescoping/tilt steering wheel/column with heat, memory and audio controls, PowerScope trailer tow mirrors with memory, Remote Start System, remote tailgate release, tailgate step, and voice-activated Navigation System with HD Radio Technology and SiriusXM Satellite Radio. 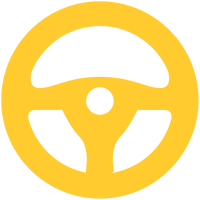 Alternative Fuel Capability (Gas) : Compressed natural gas (CNG) and propane are advanced fuel options to unleaded gasoline with the CNG/Propane Gaseous Engine Prep Package available on the 6.2L gas V8. What’s more, the CNG/Propane Package with the addition of the necessary upfits for bi-fuel capability enables the 6.2L V8 to run on either liquefied propane gas or unleaded gas. 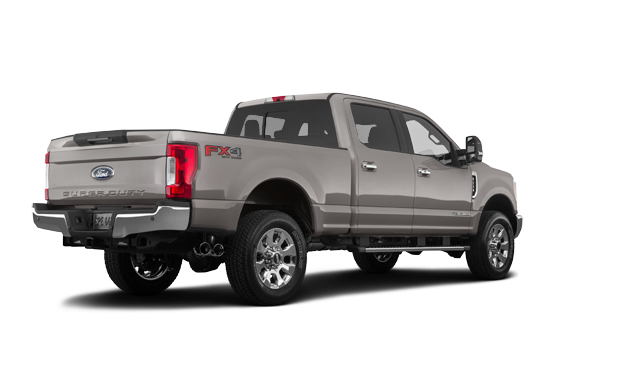 The 6.2L V8 is a flex-fuel engine, capable of running on E85 (85% ethanol, 15% regular gasoline); the available 6.7L Power Stroke Turbo Diesel is B20-capable (20% biodiesel, 80% petrodiesel). Tow Technology Package : Adaptive steering, automatic high beams with rain-sensing windshield wipers, lane-keeping alert, and Ultimate Trailer Tow Camera System (includes 360-degree camera plus center high-mount stop lamp camera). 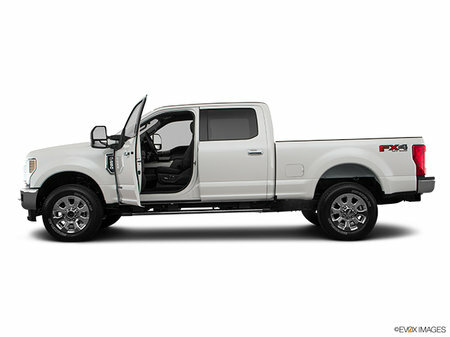 F-250 Trailer Tow Package - High Capacity : Increased GCW on diesel engine from 23,500 lbs. 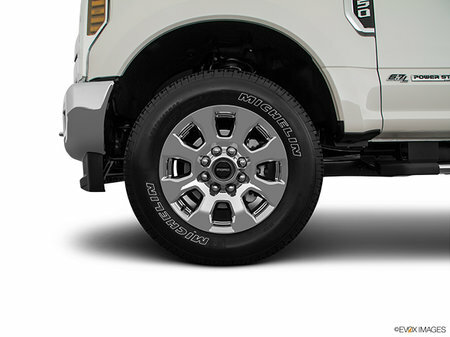 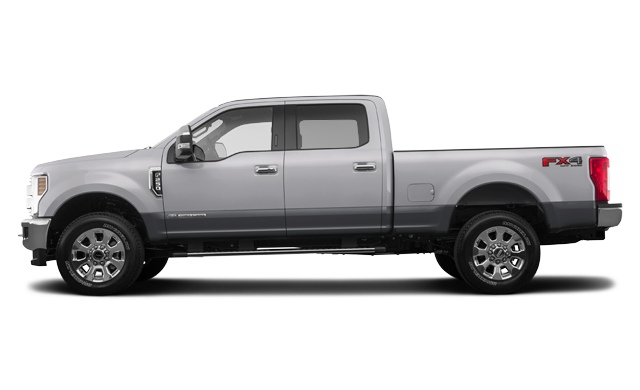 to 25,700 lbs., Upgraded axle, 20-inch Polished Aluminum Wheels (Platinum only). 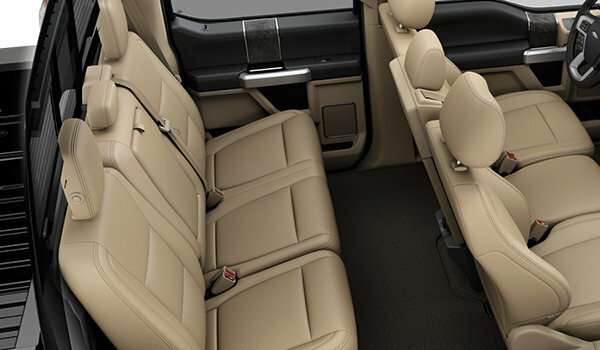 Requires 6.7L Power Stroke Diesel engine. 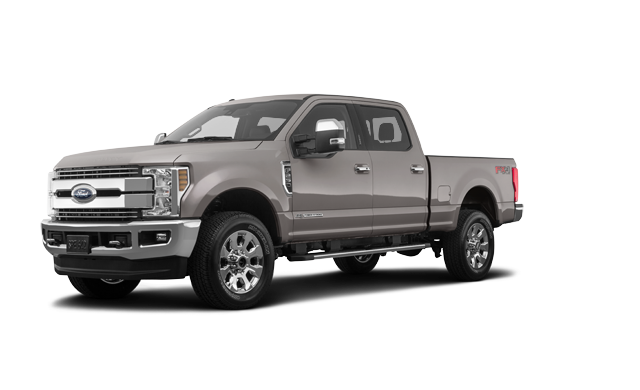 Interested in the 2019 Ford Super Duty F-250 LARIAT ?